Download Log in or Sign up to download this ep for free using BitTorrent! Available in FLAC, MP3 and Ogg Vorbis formats. 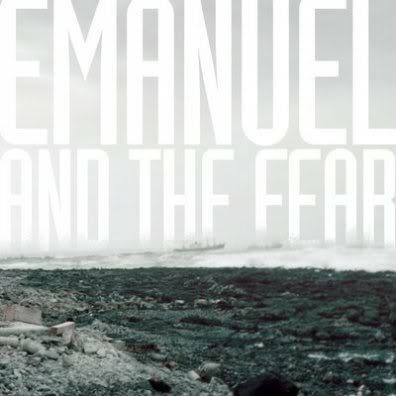 With a sound that derives itself from composers and songwriters across the board, Emanuel & the Fear is an extraordinary 11-piece orchestra-rock band that focuses on intertwining the modern day pop song with extravagant and complex composition. Drawing from romantic and modern composers like Beethoven, Rachmaninoff, and Glass; and then fusing in a modern rock sound like Arcade Fire, Bright Eyes, Daft Punk and Sufjan Stevens; Emanuel & the Fear displays a true understanding of sound all-the-while capturing audiences with their climactic electro/orchestral arrangements and quivering, poetic lyrics. Emanuel & the Fear are currently recording their full-length album at Ishlab Music Studios (Jet, Kudu, and Dead Prez) and are comprised of members who have played/toured with Sufjan Stevens, The National, Akron/Family, and Bryan Scary & the Shredding Tears. The group released their self-titled debut EP on Paper Garden Records on January 27, 2009!